Shown on HGTV this single wall lamp is truly a work of art. 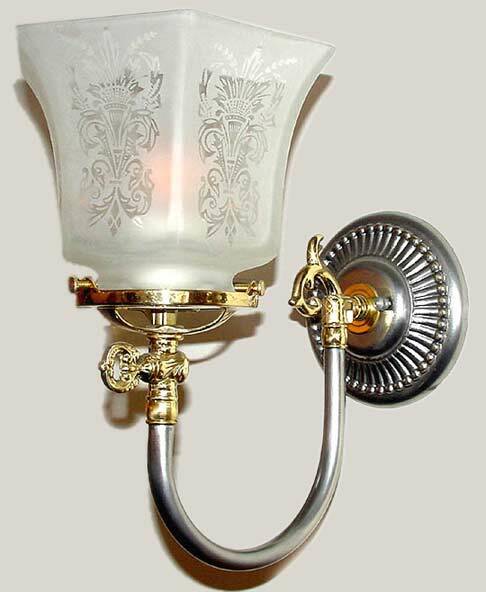 Finished in mixed metals, this French Country gas light reproduction is pewter with 'gem' accents in polished brass. A hexagonal etched glass shade completed the Victorian look. Width 7 In. / Projection 10 In. / Depth 11 In.